Wixom Roof Repair | Wixom Roofing Repair | Wixom Home Roof Repair | Wixom Home Roofing Repair | Wixom Residential Roof RepairMcGlinch & Sons CO.
McGlinch & Sons, Co. is recognized as the foremost family-owned and operated residential roof repair business serving customers throughout Metropolitan Detroit and Southern Michigan for close to a century. Our outstanding roof repair services and unmatched workmanship have earned us a reputation for being widely accepted as a leader in the roofing repair industry. McGlinch & Sons is well-known for possessing the talent and know-how to solve all of your residential roof repair problems effectively and expeditiously. No matter the size or scope of your roof repair project, the certified home roofing repair contractors at McGlinch & Sons will not only meet your needs, but they will probably surpass them. In addition, remarkable home roof repair is as important to homeowners for its looks as it is for its resilience. Therefore, if residents from Wixom are considering engaging home roof repair professionals, McGlinch & Sons is the only name they need to know is! Wixom, Michigan is found in Oakland County, and it has nearly 14,000 residents living there. 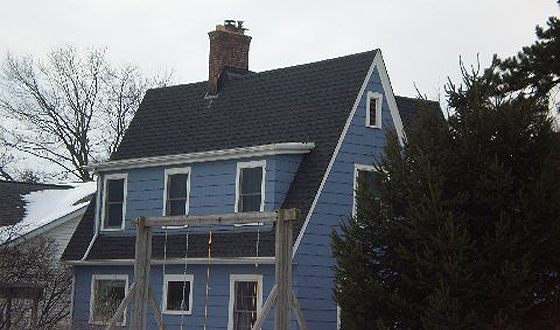 McGlinch & Sons, Co. has been delivering Wixom homeowners the residential roofing repair services they want at a price they can afford since 1917. We are well-known for having the leading home roof repair business that Wixom customers persist in choosing over the competition. Our home roof repair experts often learn that today’s Wixom customers are really second and third generation customers of McGlinch & Sons. This should come as no surprise when Wixom residents realize that customer satisfaction has always been our top priority. With our deep and unwavering commitment to honesty, integrity and reliability, McGlinch & Sons is much-admired for persisting in completing its Wixom clients’ roof repair work on time and under budget. Further, we aim not only to improve the appearance of our Wixom customers’ homes, but we also do everything we can to ensure their homes are protected from inclement weather. McGlinch & Sons provides a dedicated and proficient crew of professionals who are determined to deliver the best roof repair services. Our noteworthy business principles and work ethics are the finest in the industry. McGlinch & Sons is well-known for endeavoring to handle all of the work involved in our customers’ residential roof repair projects. We are always focused on treating you with the respect and courtesy to which you are entitled so that we will eventually be able to add you to our rapidly-growing list of satisfied customers. Our company also offers its customers a lifetime warranty on all of our shingles and a 25-year non-prorated warranty on all of our labor. So, if you are considering home roofing repair in the near future, call McGlinch & Sons, Co., today, at: (313) 278-2777 West Side; (586) 776-8912 East Side or (248) 987-6300 Oakland for your FREE estimate.